Become a part of Cape Cod Academy. At Cape Cod Academy, our teachers really know each and every student. Teachers work 1:1 to make students' learning experiences positive so they develop the skills necessary to be life-long learners. It's this faculty/student relationship and mentorship that sets a Cape Cod Academy student experience apart from other schools. From Kindergarten through 12th grade, our students succeed inside and outside our classrooms to become inquisitive learners, leaders on the field, leaders in their communities and, eventually, leaders in our global community. Cape Cod Academy fosters a life-long drive to learn and grow and make a difference in the world. 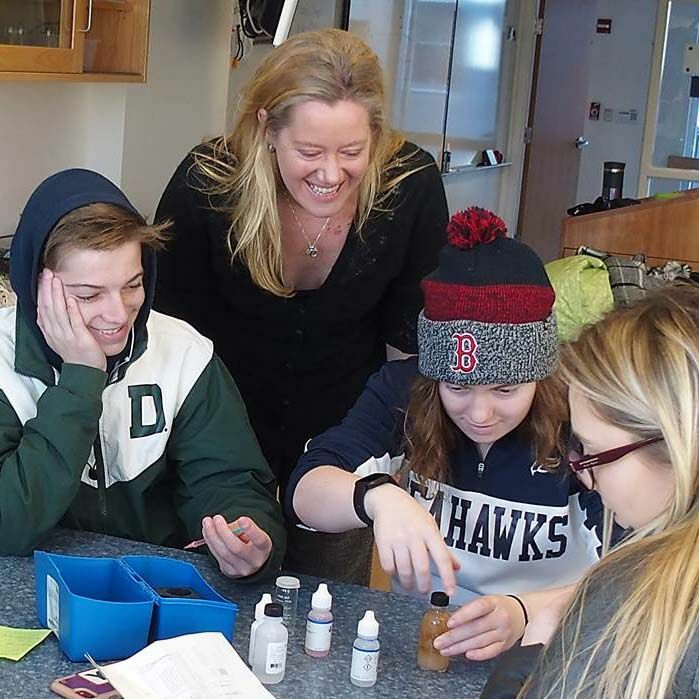 Cape Cod Academy teaches students habits of heart and mind that prepare them to be successful in college, healthy in life, and contributors to society - both locally and globally. Registration is now open for Cape Cod Academy's summer camps: We feature five camps on one campus where kids have the opportunity to try new activities, take on new challenges, increase their self-esteem, and grow in a safe, nurturing, and fun environment. Students as young as sixth-graders and seasoned seniors get the benefit of his experience, wide-ranging intellect, high standards, and gentle soul. “He makes you do the work,” says Lily in the sixth grade, “but he also makes it interesting and gets everybody involved. He doesn’t have favorites. 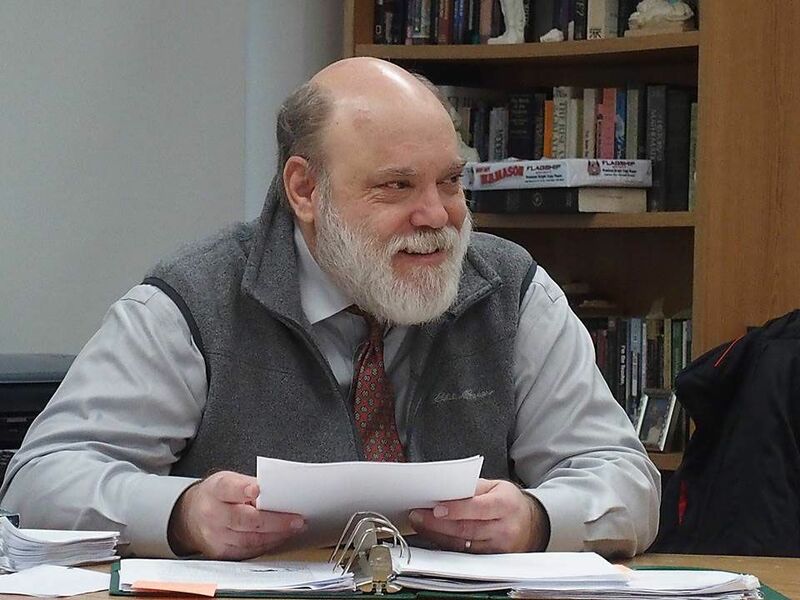 We’re all involved.” CCA seventh-graders chime in, “He’s so interesting… full of good stories.” There is appreciation for his emotional dependability. “You can count on his being the same good guy every time you see him.” For adolescents, that is huge. The Music Man debuted on CCA’s stage March 15th. Students in grades 1 – 12 performed in three productions: Friday, March 15th, Saturday, March 16th, and Sunday, March 17th. CCA Boys' Varsity Basketball Team Heads to Semifinal Game! Congratulations to CCA’ boys’ varsity basketball team! They are advancing to their first MIAA South semi-final game since 2012. Our Seahawks team will play at Taunton High School on Wednesday, March 6th at 6:30 p.m. Go Seahawks! College Admissions Workshop Open to Public - New Time! Cape Cod Academy is hosting a free College Admissions Workshop on Wednesday, February 27th at 4:30 p.m. on the school’s campus. Hosted by The University of Pennsylvania and Cape Cod Academy with a special guest from Trinity College Admissions, this workshop is free and open to the public. The great teachers share at least two loves: a field of knowledge – and kids. After four years with CCA, Abby Wood is still impressed with her students’ motivation and investment in outside learning. Turns out, CCA kids are hungry for what she’s serving up: chances for hands-on learning. 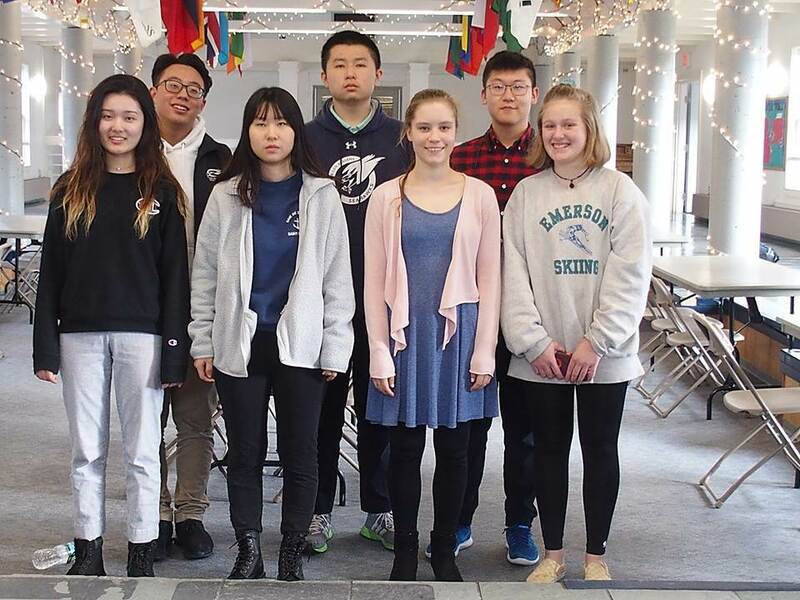 Cape Cod Academy is hosting Admission Coffee & Conversation sessions every Wednesday morning at 9:00 a.m.
Cape Cod Academy is pleased to announce that CCA students have recently been selected to participate in music festivals in the greater community. Students in kindergarten through grade 5 at Cape Cod Academy recently collaborated with Megan Murphy, founder of the Kindness Rocks Project, for an enduring art project. Megan shared the curriculum for her Kindness Rocks Project, a pay-it-forward service project she created in hopes of sparking joy in people’s everyday lives. The students' works-of-art are now a part of Osterville’s December Stroll. Cape Cod Academy is please to announce that Steve Roslonek of SteveSongs, the award-winning children’s musician and well-known performer from PBS Kids, will be at Cape Cod Academy on Saturday, December 1st. The concert is free and open to the public. Click here to view one of his performances. Climate change is arguably the defining challenge of our time, yet widespread misunderstanding and misinformation have hampered the public's ability to understand the science and address the issue. NOVA's documentary, Decoding the Weather Machine, will cut through the confusion and help define the way forward. CCA held its annual homecoming celebration on Saturday, October 20th. The day was preceded by various school activities held throughout the week, including a pep rally on Friday in the Upper School Gym. Go Seahawks! 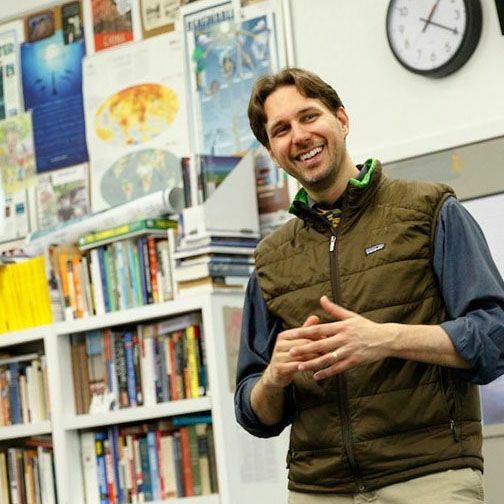 On Thursday, September 27th, CCA humanities teacher, Keith Lewison, attended the Cape Cod Climate Change Collaborative's (5Cs) First Annual Netzero Roundtable. Keith gave a presentation, referred to as a success story, about the 2017 Climate Change Youth Summit that was held at CCA, and for which he was a lead organizer. Keith discussed how today’s youth realize that climate change is the greatest challenge their generation faces. By the time your children get into upper school, few people will be more important in their lives than Emily Allen, Cape Cod Academy’s Director of College Counseling. CCA is, after all, a college preparatory school sending 100% of its graduating class to colleges and universities around the world. Setting your kids up to make a successful transition into their next big academic step is what Emily does. 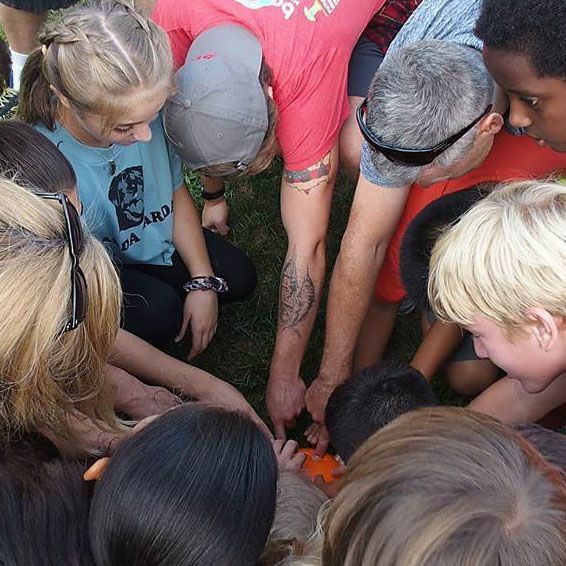 CCA middle school students spent a day working on community-building activities, including low and high ropes, zip lines, small-group games, and problem-solving activities. Cape Cod Academy held its first day of school for the 2018-19 school year on Wednesday, September 5th. When the senior class decides to dedicate their yearbook to a man who’s only been teaching at the school for two years, it has to mean something. In addition to the breadth and challenge of Cape Cod Academy’s upper school curriculum for grades 9-12, we offer students the opportunity to choose from a wide array of seminars, which are mini-courses that students choose in addition to their regular classes. Seminars either reach beyond traditional academic disciplines or dive deep into a particular topic, thereby complementing what they are learning in their other classes. Is a private or independent school right for your child and for your family? Many public schools do an excellent job of educating students and they do it at no additional cost. However, the benefits of an independent school education can often outweigh the costs depending on what the local public school may offer. It’s probably not a surprise to you to hear that student angst is often on my mind. I am a college counselor after all. One thing I’ve found across cultures is that in the college application process, students experience a good amount of anxiety. Being compared to their peers, worldwide, for their achievementsputs a lot of pressure on them. Sometimes they feel like the personal improvement they have demonstrated over the years is ignored, and the happy times they may have experienced, learning, are disregarded. So they feel some anxiety, naturally. No kidding, right?